The absolutism questionnaire used is an extension of Alford & Hibbingâ€™s (2006b) scale for measuring absolutism in political orientation. Running a basic test of correlations on answers immediately highlighted two items on the political absolutism scale. It should be noted that for technical reasons, data here is only available for self-reported Republicans and Democrats. Ten classic wary cooperators identified as independents and were not asked to answer the political orientation section of the survey. 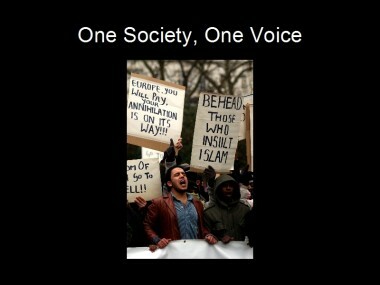 The variable asking participants whether they feel society works best when it speaks with one voice or many voices (HOneVce) was a highly significantly correlated variable. The variable has an R2 of .377. Additionally, the variable HEtCode, asked participants whether they feel society works best when behavioral expectations are based on an eternal code or when behavioral expectations are allowed to evolve over the decades. This variable was significant at the .05 level. After finding a correlation with Absolutist Orientation, which was calculated through answers to general questions, the analysis then determined whether answers to specific political questions were also correlated. An Authoritarian Politics scale, taking the â€œconservativeâ€ position on a variety of political issues, (Calculated as HPolitC = hdeathp – habortd + hpray + hiraqwa – hgaymar – hforaid + hdepill – htaxric + hwireta – hgunctr) was created. (See Appendix B for variable operationization). The null hypothesis is rejected, concluding that Authoritarian Politics do significantly impact Wary Guerrillaism with an R2 of .171. 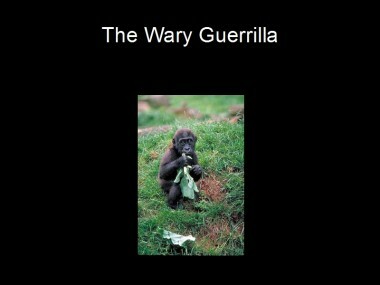 Hypothesis 7: The Wary Guerrilla Type is correlated with Absolutist Beliefs. The same test was conducted for specific questions relating to views on gay marriage (HGayMar) and belief in progressive taxation (HTaxRic). These variables produced R2 values of .188 and .132, respectively. 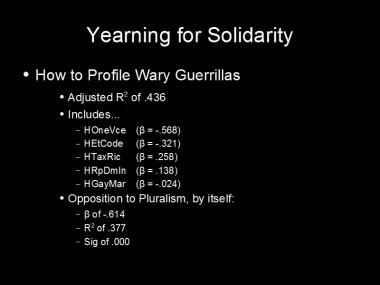 Hypothesis 8: The Wary Guerrilla Type is correlated with Political Party. The model inclusive of the prime orientation and issue related variables, (ie â€˜one voice: HOneVceâ€™, â€˜eternal code:HEtCodeâ€™, â€˜gay marriage:HGayMarâ€™, progressive taxes:HTaxRicâ€™, and â€˜Republican:HRpDminâ€™), produced an adjusted R2 value of 0.447 (p=0.002). A model including variables measuring three personality traits, (ie Hardworking:HHardWo, Carefulness:HCarefu, and Kindness:HUnkind) generated an adjusted R2 value of 0.425 (p=0.000). A model merging the key political orientation, issue stance, and personality variables yielded an adjusted R2 value of 0.745 (p=0.000). What world do babies think they are in? Most of this reaction paper is dedicated to examining some claims the authors make about the permanence of objects. I attempt to understand their reasoning, present an alternative rival hypothesis, and then describe a short experiment which may help resolve the issue. The world of babies is closer to ours than we previously believed. There is not a â€œblooming, buzzing confusionâ€ (Gopnik, Melzoff, & Kuhl, 65) for newborns. Rather they are equipped with mental modules that allow them to distinguish shapes (64), read lips (69), and many of others. However, babies can still have strange ideas about the nature of invisible objects. On page 81, the authors write that babies â€œassume that an object that traces a particular path of movement is the same objectâ€ but that â€œyoung babies are not particularly interested if a blue toy car goes in one edge of a screen and a yellow toy duck emerges at the far edge on the same trajectory!â€ Such a view does not make sense if one lives in a world of three dimensions, height, width, and depth, that extend to infinity and are identical in their nature. Yet such unusual beliefs become natural if very young children hold one of two views of space. The baby’s belief make sense with the addition of bounded space. As adults, we assume that space as we know it exists beyond what we can see. As I am writing this, for instance, I assume that the entryway (which is separated from me by a wall and by an glass door) exists in the same manner regardless of it is behind the glass door or behind the wall. Thus babies may believe in our three dimensions, but add a divide between the finite space they know and transfinite space where unknown rules may apply. Another possibility is that babies use a different coordinate system all together. Imagine that babies understand three dimensions: pitch (rotation about the vertical axis), roll (rotation about the horizontal axis), and extension (distance). Unlike our understand of dimensions, which are in absolute terms (five feet up, six feet over, seven feet across) these values would be fractional. So instead of having to map an object in our dimensions system, an object would be 50% up, 50% over, and 50% extended. These systems give different predictions of how children understand the permanence of objects that are out of sight. In a traditional system, the difference is from a magical to a scientific world view However, a roll x pitch x extension system is closer to a child’s discovery of negative numbers. Instead of having to discover a whole new world out there, the child merely realizes that extension can go beyond 100% in a way that roll and pitch cannot. Early, I mentioned that authors describe an experiment with a car that becomes a duck at after occulting itself while maintaining a fixed velocity. The experiment is odd in that implies babies understand objects to have a permanence of speed while not a permanence of shape. I believe that these two systems of coordinates give different predictions about the behavior of small children in a modification of the experiment. The difference relies on how distance is understood in the two systems, and the fact that babies understand perspective (se the discussion on â€œsize constancyâ€ on page 68). Create a series of blinds such than an object becomes visible and invisible in succession such that the distance between the baby alternates between five feet and ten feet, and make the object change shape from a duck to a car. Have backdrops behind the toy that are either immediately behind or or twice the distance away. Then present the following sequence of vistas, in (toy distance, backdrop distance, toy) format: (5 ft, 10 ft, duck), (10 ft, 20 ft, car), (5 ft, 20 ft, duck), (10 ft, 10 ft, car). If the baby understands distance in absolute terms, this pattern should habituate relatively quickly (as a 5 foot distance gives a duck and a 10 foot distance gives a car). However, if the baby understands distance in terms of distance relative to the backdrop, the pattern is more surprising: 50% gives a duck, then 50% gives a car, then 25% gives a duck, then 100% gives a car. Then return the experiment with distances of (5 ft, 10 ft, duck), (5 ft, 5 ft, car), (10 ft, 20 ft, duck), (20 ft, 20 ft, car). This experiment should give the opposite result, with a baby believing in extension becoming habituated but a baby believing in absolute distance being more interested. Simply compare the results between the experiments, and you should be able to tell if babies (or at least certain babies) hold to one coordinate system or the other. Of course, chapters three and four dealth with more than the physical world. The discussion on on language on chapter four is quite good, though there is only want to focus on a few lines. 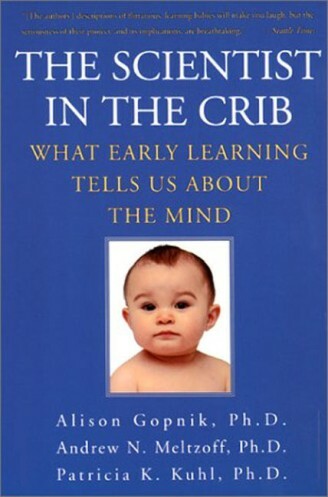 On page 100, the authors write that by â€œthe time they are in kindergarten, children have mastered almost all of the complexities of their particular language, with no conscious effort or instruction.â€ However, on the very next page they write that â€œthe babies’ Language problem is not so much the scientist’s problem â€“ find out what the world is really like â€“ as it is a kind of sociological or even anthropological problemâ€: find out what the folks around here do and learn to do it yourself.â€ I am not sure how they make this distinction. In the previous reaction paper I noted that scientific-type thinking might be detected through brainscans. If this is true, the authors would here be suggested that learning language requires very little prefrontal cortex use. Actually I agree with this, though I find their switch their scientific-antrhopological division to be arbitrarily defined. All in all though, these chapters were thought provoking and lead to testable hypotheses. Good show!